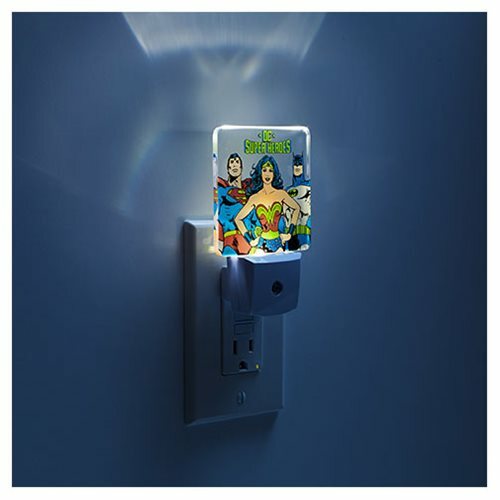 Let DC's Trinity light up your room! 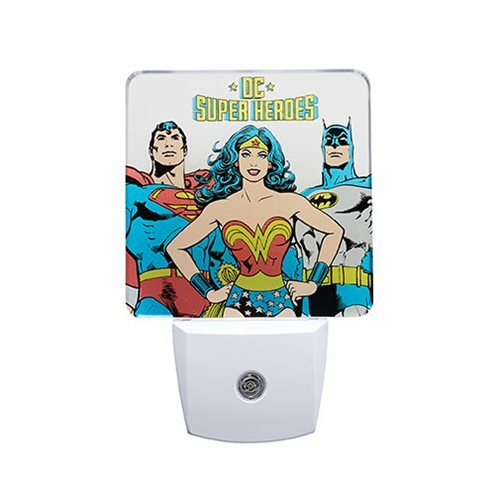 Superman, Wonder Woman, and Batman appear on this cool DC Comics DC Superheroes Nightlight, ready to hold the boogieman at bay. Made of metal and ABS, it measures about 4 3/4-inches wide x 3-inches long x 2-inches tall.